I remember the first day I walked into a Jimmy John’s Sandwich Restaurant. You know, the ones with the “Subs so fast you’ll freak” slogan. I had the day off so I wasn’t very concerned about speed, just taste. I ordered the JJ Gargantuan and chatted with the cashier while I searched for the correct change. When I looked up to pay, she was holding the Gargantuan. They had literally made the sandwich in 30 seconds. I was WOWed and, just like their slogan says, I was freaking. This experience has stuck with me over the past five years. Now it’s finding it’s way onto techneur. Can you say marketing? Whether internally with co-workers or externally with our customers and partners, delivering WOW results in word of mouth. Our philosophy at Zappos is to WOW with service and experience, not with anything that relates directly to monetary compensation (for example, we don’t offer blanket discounts or promotions to customers). Jimmy John’s understands this mantra. They keep their restaurant fully staffed, even during some slow hours, so they can deliver the WOW moments when it counts. They might be running up the labor percentage but that’s only short term. Soon, word of mouth will spread and more customers will file in. Jimmy John’s is also saving on marketing. 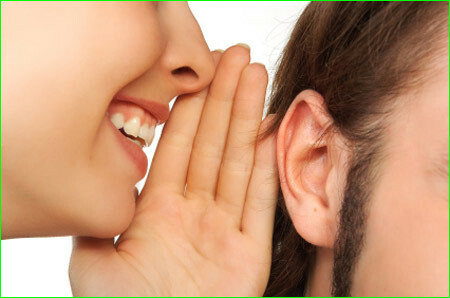 Word of mouth is the must trusted form of advertising. If the sandwich franchise continues to WOW people with their speed, then stories of their service will be passed along just as this one is now. With one person being able to reach hundreds and possibly thousands via facebook, twitter, blogs, etc., a good story can go a long way. There is a catch. Because Jimmy John’s markets themselves on speed of service, that speed could become the new baseline for their customers. Patrons will come to expect speedy service and that attribute will lose it’s WOW factor. Jimmy John’s should take a page out of the Zappos handbook (Delivering Happiness) and create a company culture that embraces employee creativity and personality. This way, employees can inject their unique WOW factor into each interaction. There would be no way for customers to baseline expectations, because WOW experiences would vary depending on the employee. Hell, if I were Jimmy John’s I would pay a driver extra to deliver sandwiches in a chicken suit. That would be hilarious and make for a great story. Throw in a an accessory, like a bracelet or necklace, for free on repeat buyers. These items fit just about every guy and they’ll never see it coming. Pay all VAT fees, no matter what. Sometimes, Europeans are charged a customs duty when purchasing from countries outside of the Union. Customers will appreciate this “safety net” given the uncertainty of a potential hidden cost. What’s one way you could WOW your customers?